Open one of the files that show up with a syntax error directly to see if they contain anything that looks strange. https://www.ssllabs.com/ssltest/analyze.html?d=indicodev.labsud.org shows some warnings but nothing likely related to your problem. 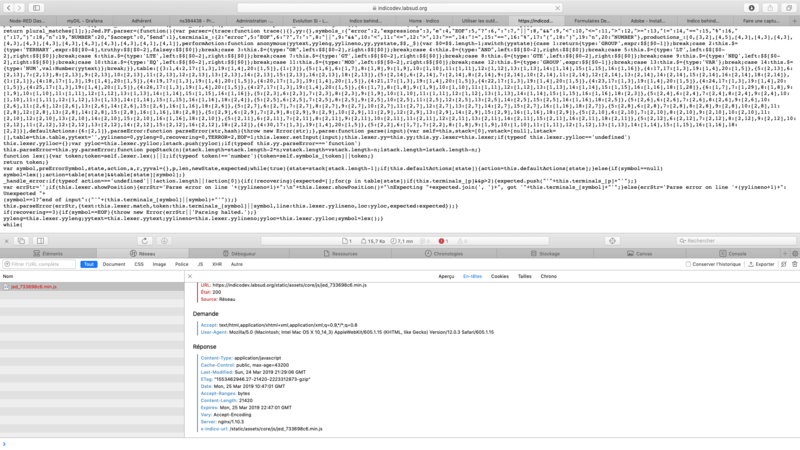 But since you mentioned the size, please check your nginx logs if there are any errors related to buffering data. With the correct aliases (make sure you use the one from https://docs.getindico.io/en/stable/ and not https://docs.getindico.io/en/latest/) nginx serves the data directly, buf if the aliases are wrong/missing, then the data would go through the Indico Python app and uwsgi, and nginx may need to buffer the data. 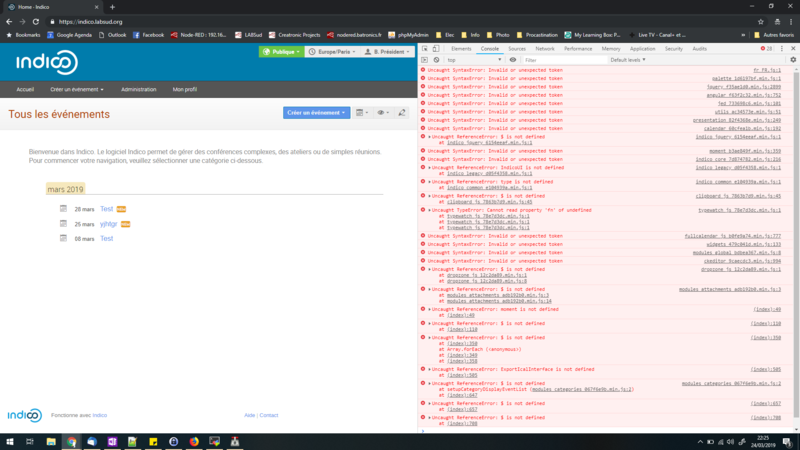 Something more : behind this reverse proxy I have several servers that work well (nextcloud, Dolibarr, RocketChat, Wekan …), Indico is the only one giving this errors. So you have a nginx in front of Apache? Or what exactly is the setup you have? Could you post the indico-related configs? Great new : it works But I haven’t clear explanation … What I changed ? I switch to Nginx on Indico server. When I switched from Apache to Nginx, I got some error about file permissions (maybe I forgot a step ?) that I solved like a pig with chmod 777. Maybe Nginx is more explicit than Apache ? I don’t know … I will make a clean install and tell you if I find something. But before switching I tried everything : adding buffer on reverse proxy, add all options possible … I changed nothing. Sometimes files were complete, sometimes they were cut.